Malicious Intent is the first book featuring heroine Anya Crichton - a forensic pathologist. I previously reviewed Blood Born - a later book in this series - wherein I complained that we didn't get enough of Anya's back story. Well this book explains why. It is all here, which makes sense since this is the first book. After having read this one, Anya is a much more sympathetic and relatable character than I got from her in the later book. Now that I understand her a bit more it does change my view of her a little bit, for the better. In this book, she is investigating links between several young women who have committed suicide but have similar unusual fibers found in their lungs. It's a good mystery, and I, who pride myself on figuring out where a story is headed, didn't get there with this one until near the end, so kudos to Kathryn Fox for keeping me guessing. I rarely do spoilers, but this time I feel justified just by a coincidence of things going on in my life lately. So here is the alert for the upcoming spoilers. The "bad guy" in this one is conducting experiments on these young women, using sensory deprivation and a series of other psychological tortures to manipulate their behavior. I guess I just find this somehow intriguing because I'm noticing this type of thing a lot lately in various media, books, television shows, etc. and it is reminding me of WWII and the experiments the Nazis were conducting. Maybe I'm noticing all this more because of a Nat Geo special I watched recently about twinning and experiments presumed to be conducted by Doctor Mengele in South America following the war. Maybe that is what is triggering my noticing of this type of experimentation and torture. But even in the Dr. Who episode I watched last night (A Town Called Mercy) there was talk of war and biological experiments. Is genetic/biological experimentation a prominent theme in the media lately? Or is it just me now noticing it more? What do you think? A gripping and powerful new thriller -- the debut of a stunning new voice in suspense fiction -- and the first appearance of a tough and remarkable investigator, pathologist, and forensic physician, Dr. Anya Crichton. The only female freelancer in the male-dominated field, pathologist Dr. Anya Crichton will take any work she can find to pay child support and her mortgage, get her new business off the ground, and battle her ex-husband for custody of their three-year-old son. Things turn around rapidly, however, when her expert forensic evidence is instrumental in winning a high-profile case -- and new work offers start pouring in. But Anya's investigation into the drug overdose of a young Lebanese girl is raising troubling questions. Startling coincidences between this sad and tragic death and a series of seemingly unrelated suicides that Anya is also examining at the urging of her friend and colleague, detective sergeant Kate Farrer, suggest that there's a monumental evil at work in the shadows. With each scalpel cut, Anya Crichton's forensic prowess and deductive brilliance are pulling her relentlessly toward a sinister plot and a devastating truth -- and once she enters the lethal darkness, she may never again see the light of day. 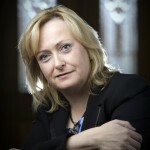 Kathryn Fox is a medical practitioner with a special interest in forensic medicine who currently lives in Sydney, Australia. She has worked as a freelance medical journalist and written regularly for publications including Australian Doctor, The Sun Herald and CLEO magazine. Her debut novel, MALICIOUS INTENT, received international acclaim and won the 2005 Davitt award for adult fiction. It also toppled The Da Vinci Code to become the no. 1 crime book on Amazon in the UK and Germany. WITHOUT CONSENT was released in May 2006 in Australia and became of the top Australian fiction books for the year. 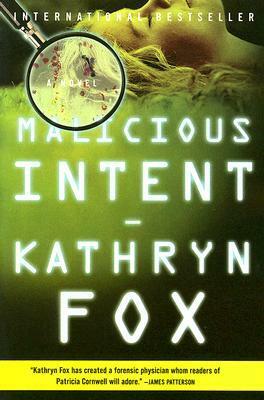 SKIN AND BONE, features Detective Kate Farrer, who first appeared in Malicious Intent. It is now available in the UK, Sth Africa, Australia, NZ, Germany, and other countries will follow. Kathryn will be travelling to the US for the launch in July. The next Anya Crichton thriller, BLOOD BORN, due for release in Australia August 31st, and September for the US. UK will follow in November. In her spare time, Kathryn likes to indulge in some of her favourite pastimes - playing the harp (very badly), scrapbooking and ebay. Kathryn has recently combined her passions for medicine and reading with creation of the 'READ FOR LIFE' project. To an illiterate person, reading means life. So many of us take reading for granted, but a mother who cannot read a medicine bottle cannot even give her child the medication needed to combat life-threatening infections. READ FOR LIFE collects and sends children's books to indigenous and remote communities in which poor literacy levels are directly correlated with poor health and increased infant death rates. For more information and how you might be able to help recycle your quality kids' books, please stay tuned for the addition of the READ FOR LIFE link.